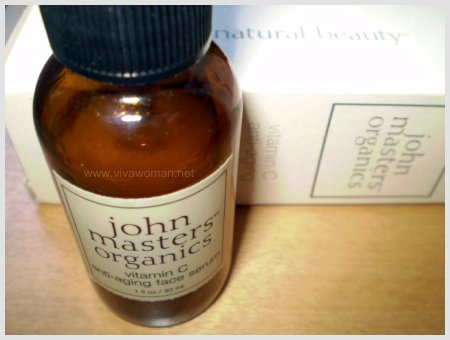 IÂ just foundÂ anÂ anti-aging serum with L-Ascorbic acid polypeptide complex under theÂ John Masters Organics Skincare Line.Â I came across a few raves on the product line, especially their John Masters Vitamin C Anti-aging Face Serum and found it available locally. As a matter of fact, John Masters OrganicsÂ skincare line looks rather promising with awards won for itsÂ Jojoba & Ginseng Exfoliating Face Cleanser, Green Tea & Rose Hydrating Face Serum,Â Firming Eye Gel,Â Deep Scalp Follicle Treatment & Volumizer for Thinning Hair andÂ Lip Calm. More importantly, their stuff are all made from natural ingredients that are as organic as possible with no sodium lauryl sulfate, petro-chemicals, parabens, DEAs, MEAs, TEAs, GMOs, artificial colors, fragrances or fillers. 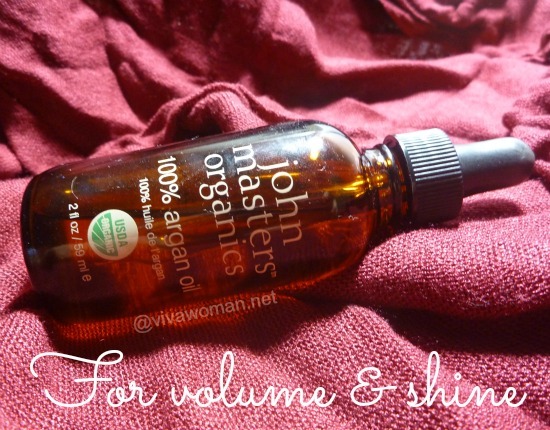 Well, I’ll try out the John Masters Vitamin C Anti-Aging Face Serum first and if I like it, I might take their other stuff for a test run too. I been using john master vit c anti aging for long time,I can say is very good, as for the price, bud sold $58.I know eric well, very friendly . Hi Florence: Great to hear you find it good. Really looking forward to using it soon! $58 was a promo price or maybe a discount to long-time customer? Cos it’s still listed at $62 on the website. 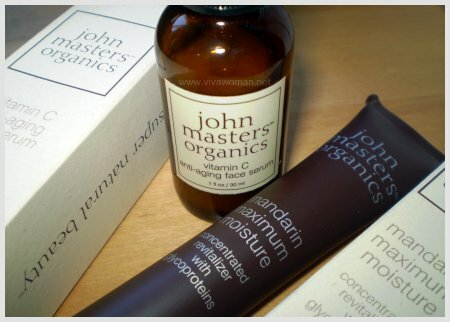 everything increase, no choice.so many brands of organic serum I try, I still find john master & organic pharmacy very good, suit my skin & it’s works! Forget to tell you, I am also using their evening primrose shampoo for dry hair, smell great & their John Masters Citrus & Neroli Detangler also very good, my favoruite. Incidently, I also bought all my JM products from Shinorganic. their price is cheaper and the service is good and prompt. din noe its an award winning product but i also using JM’s Jojoba & Ginseng Exfoliating Face Cleanser. I would recommend it too! removes dead skin and is not harsh on my skin. some have really ‘sharp’ beads but this one is really gently and effective. anyone used their Bourbon Vanilla Hair Texturizer? good? thinking of buying for my bf. Irnix: Hey, glad to find another lovef of JM’s products. I love the Vit C Serum so far. Good for my scar. But the smell isn’t so pleasant though. I was thinking about their eye product but I’ve got something coming in for me so I may order this later. I’ll probably order one or two more JM’s to try. I agree that Shinorganic’s service is excellent. Yeah, about the smell, I used to be very particular about product smells. When I started using organic products, I found the smell not-too-pleasant too! Because no ‘Fragrance’ ingredients are added. Thks for the post on JM… I got the Vit C serum from Bud Cosmetics at Square 2 as I wanted to feel the texture and smell it. It really works well to hydrate and even out my skintone. I really like the service at Bud and i was served by May, and she suggested i use organic rosehip oil on top of the Vit C serum at night to help with my pigmentation. it is about $3 more at bud but i became a member, so i can get discounts on future purchase and monthly promo. Mandy: Rosehip oil over Vit C Serum? That’s interesting. I’m using the moisturizer so I won’t be trying this. And I haven’t had much luck with Rosehip Oil to reduce my pigmentation even though I love the oil. i ordered the JMO’s vitamin c from shinorganics but oddly enough i didn’t get a reply from them for my enquiry. i know that their system is supported by paypal, but do we need to have paypal to buy their product? faeryberry: I’ve ordered twice and the reply has always been prompt. Did you check your spam folder? if you still don’t hear from them, you can write to them. Their checkout is via paypal but you can pay using credit card with that system. faeryberry: Okay, that should be it. The acknowledgement is the confirmation. But they might reply you later since you wrote to them. Usually it will arrive in 2 days. If you ordered early today, you may even get it tomorrow. If not, check Wednesday. Thanks for visiting! I’m glad some of the stuff here are useful for you. 🙂 Which sunblock did you buy? Keys Solar Rx? Hope i can get it tomorrow! faeryberry: Oh great…hope you like Keys Solar Rx! 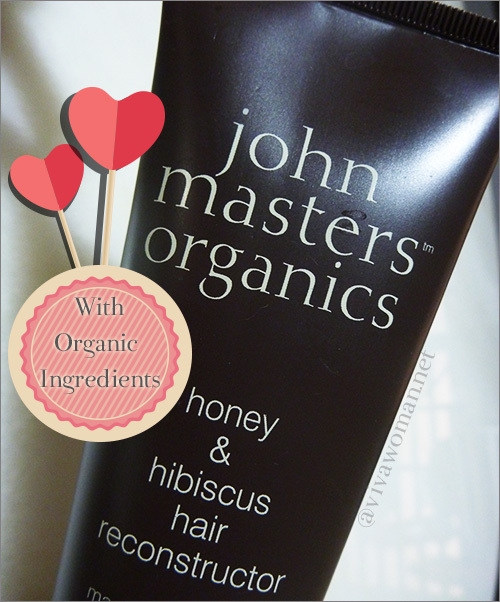 Got John Masters Organics shampoo and conditionor samples from natures-harvest and go me hooked on their products. I like their natural, light scent. I can’t get back to those strong perfum scented shampoo. Next time i’ll try their skincare products.. 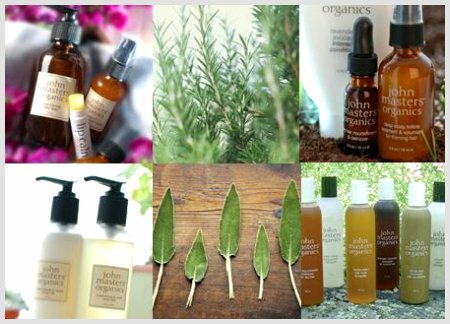 Thanks very much for providing an overview of these Johnson Masters organic skin care products – there are so many around now on the market – it’s hard to maintain an overview!